PITTSFORD—An internet startup seeks to increase life expectancy with health coaching. Health Coach Connect, LLC, has launched a web-based platform, Health Coach Connect, to help people interested in making sustainable lifestyle changes to connect with professional health coaches of varying specialties, according to a recent news release. 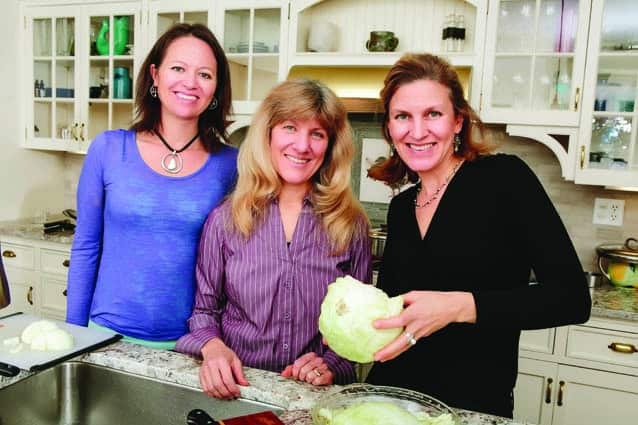 The company was founded by two sisters and their niece: Stacy Musial, a licensed psychotherapist, Sue Musial Bigelow, a respiratory therapist, and Sandy Musial, a pediatrician. Health Coach Connect offers free initial assessments and consultations to match clients with an individual health coach. A six-month package includes regularly scheduled video chat sessions, individualized health goals and plans, a “wellness wheel assessment” for life balance, and text messaging support throughout the week. A mobile app provides secure communication, activity and food tracking, and other interactive tools. The risk of heart attack can be lowered in only three weeks. Angina and leg pain can disappear in less than a year. Blood flow to clogged arteries can be fully restored within a few years. Smoking cessation can cut the risk of coronary heart disease to half that of a smoker’s in one year. Symptoms of autoimmune diseases can decrease in just a few months. Stress can be managed and lowered. Weight loss can happen as a side effect without counting calories. The risk of cancer is reduced. For more information visit healthcoachconnect.com. Stacy Musial, Sue Musial Bigelow, and Sandy Musial have launched a web-based platform for health coaching.